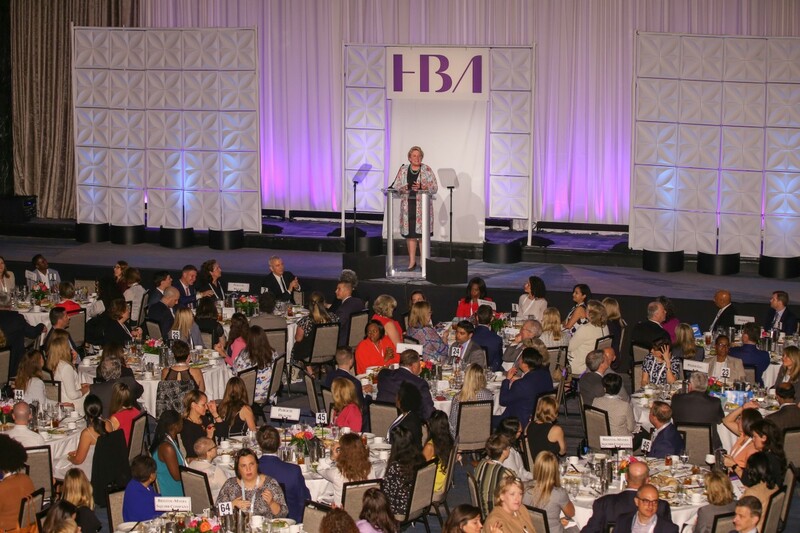 The third prestigious award presented at the annual HBA Woman of the Year (WOTY) event is the Strategic Transformation Achievement Recognition—also known as the STAR award. This honor is unique in that it is presented to a volunteer who has strategically transformed the HBA. Since 1999, the HBA has recognized an extraordinary volunteer who stands apart as an exemplary role model to others due to her/his demonstrated long-term commitment to gender parity and the ability to help the HBA further our mission and goals. HBA STAR nominations are submitted by scores of fellow volunteer leaders who've seen firsthand the outstanding efforts made by those deserving of this award. Candidates are the most senior and impactful volunteer leaders and the award recipient is selected because of the significant and global impact they have made to the association over the years.